Long-awaited third album from revered English act Would-Be-Goods. Originally signed to Mike Alway's él record label, Would-Be-Goods were the perfect representation of that label's legendary and unique style. Based around the vocal talents and songwriting skills of Jessica Griffin, a critically acclaimed debut album "The Camera Loves Me" was recorded with musical backing from label-mates The Monochrome Set. The band's cult status around the world grew over the years, and the Japanese label Polystar released a second album "Mondo" in 1992. Last year, following the addition of Peter Momtchiloff (ex-Talulah Gosh, Heavenly, Marine Research) on lead guitar, the band set forth to write and record songs for their eagerly anticipated third album. "Brief Lives" features sixteen outstanding songs across which Griffin spins a world peopled with crazed historical characters, mysterious cabaret performers and arch sophisticates. Lovers meet and part before a backdrop of chromed sports cars and elegant coffee bars, soundtracked by Momtchiloff's brilliantly expressive guitar. The perfectly monikered Orson Presence adds piano, organ, harpsichord, vibraphone and strings, while Jessica's mother contributes violin and mandolin on two tracks. 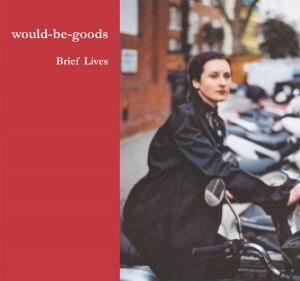 Rich with imagination, "Brief Lives" is everything that is sorely missing in the world of pop music today.